Not just any stand. YOUR trade fair stand. Your company, your products and your services are unique. Why then should your stand look just like that of your competitors? 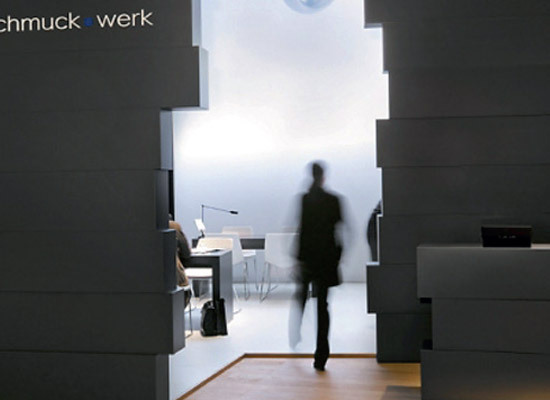 With an exclusive stand from Rappenglitz Trade Fair Constructions unlimited possibilities are available to you, to showcase your company from its best side. With planning that is individually tailored to you and your objectives, use of high-quality materials, outstanding functionality and a CI-oriented design, you consistently pursue your branding and Rappenglitz Trade Fair Constructions supports you in just that. Hence, you express your exceptionality – and your visitors are sure to be amazed. Rappenglitz Trade Fair Constructions designs your stand individually and thus provide your brand with personality and a distinctive look – CI-appropriate design included. The realisation of the modular exhibition stand is carried out using high-quality system components from our expansive inventory. Consequently, your trade fair stand turns into a real price-performance miracle, however, without limiting your options. Any forms – even curved – and ideas can be realised: numerous, high-quality components and our know-how make it possible. 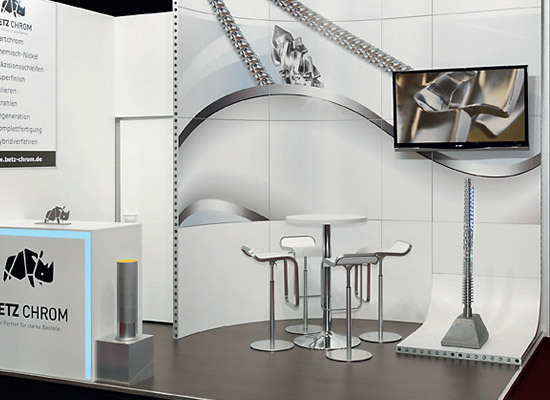 Simply choose your stand from a variety of pre-designed system stands – you then determine the size and details and your exhibition booth is complete. You cannot present yourself quicker and more cost efficient. With that you do not have to relinquish your personal touch: our system stands can be completely, graphically designed and thus be adapted to your regular corporate identity. 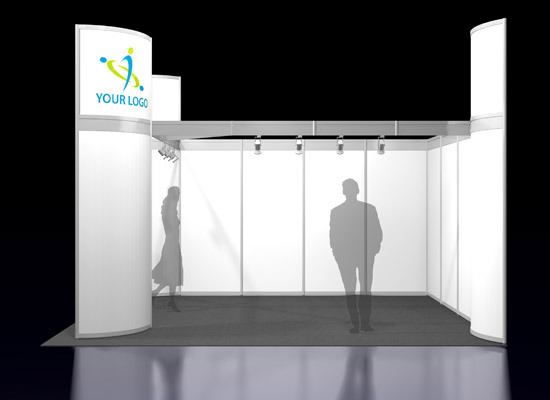 Go ahead right away and design your individual trade fair stand using our stand configurator. For your event to be a complete success, our Rappenglitz Trade Fair Constructions team supports you there as well with our extensive full-service. You will receive more than just rental furniture and partition walls. We gladly offer comprehensive consultation, exact measurements of your event rooms and halls, smart floor plans, detailed order forms for your exhibitors as well as complete handling of stand and equipment availabilities, including last-minute service. And which event of yours may our team turn into a stress-free highlight? You have questions about our offers on fair constructions and rental furniture or you may have a question concerning our stand configurator, then please do not hesitate to contact us – we are very happy to assist you.